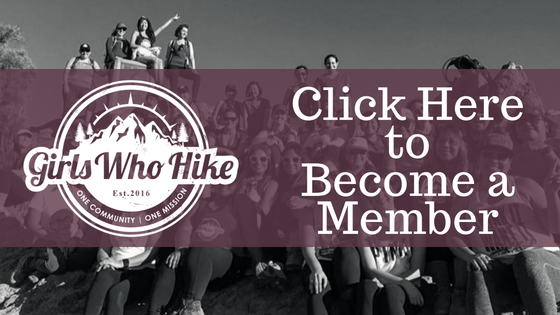 This hike is led by GWH Ambassador Liz Robertson! All members will receive special giveaways at this event. Dogs: Yes. Please make sure your dog is prepared for a hike of this magnitude – elderly dogs and puppies should stay at home. Since we’ll be at a high altitude, please make sure you bring aspirin or another headache soother, electrolytes, extra water, snacks, and I recommend bringing something to help you with nausea – you never know! YakTrax or microspikes are recommended but not required for this hike.